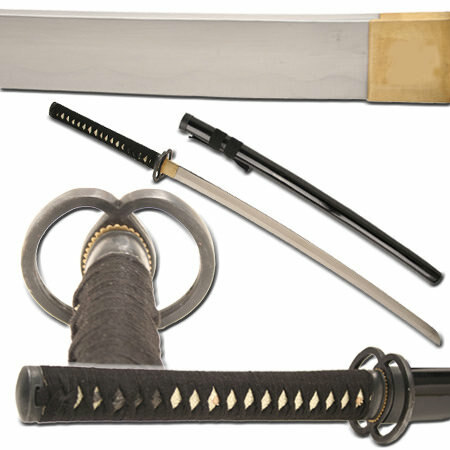 Katana: the traditional Japanese longsword. 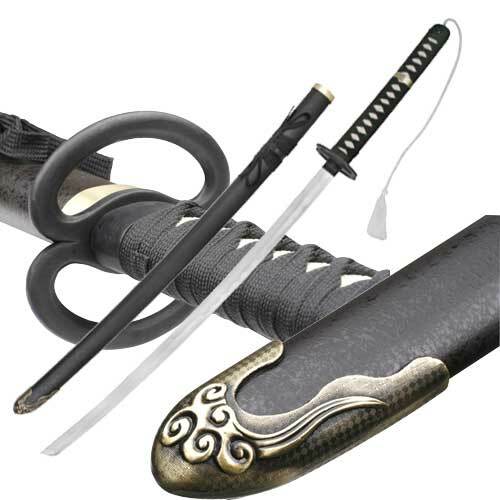 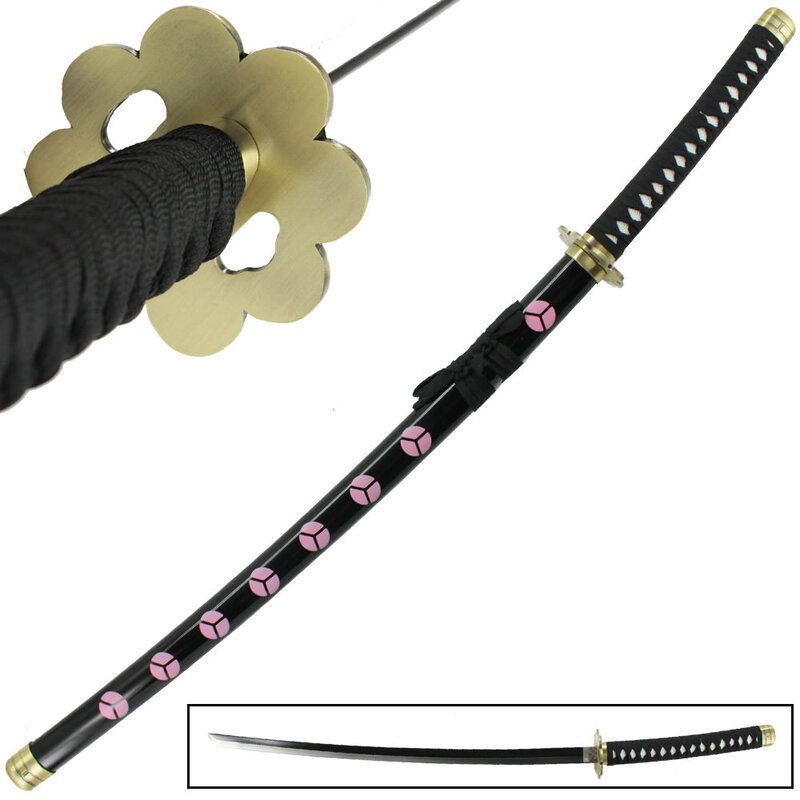 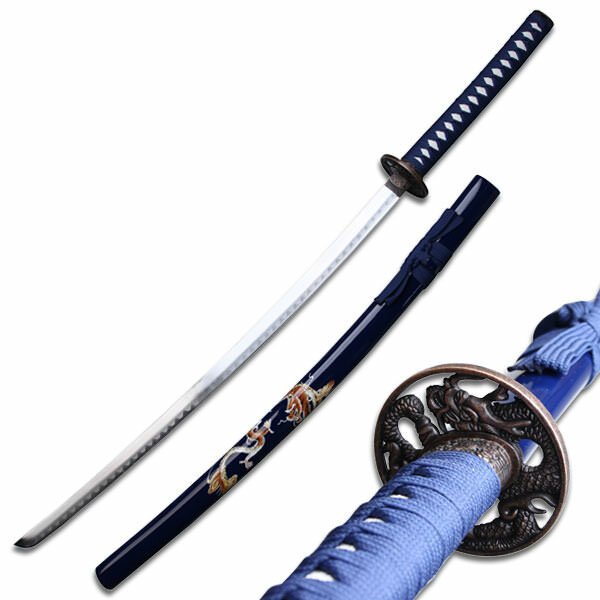 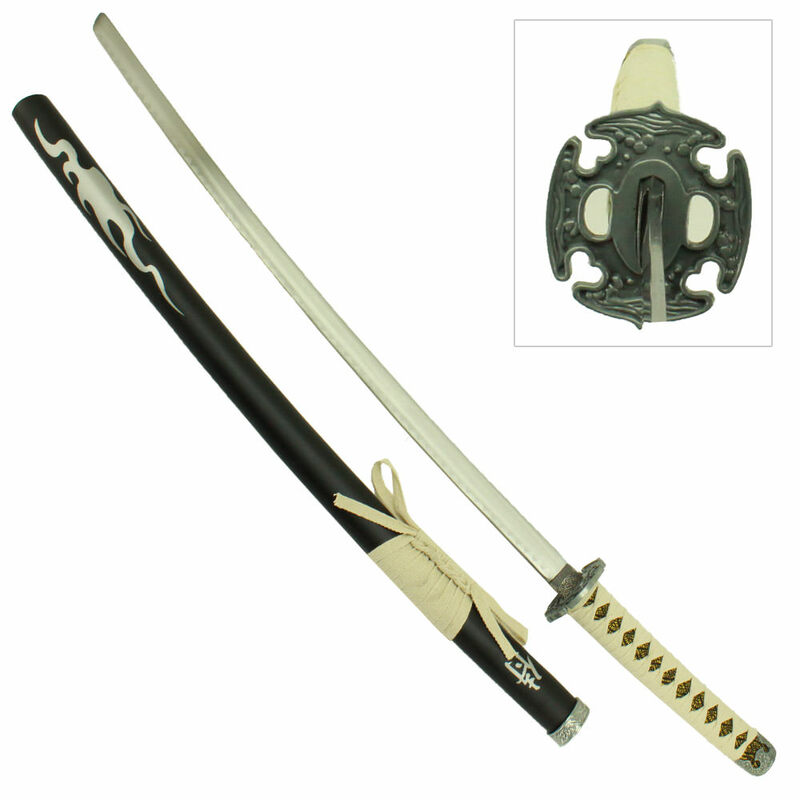 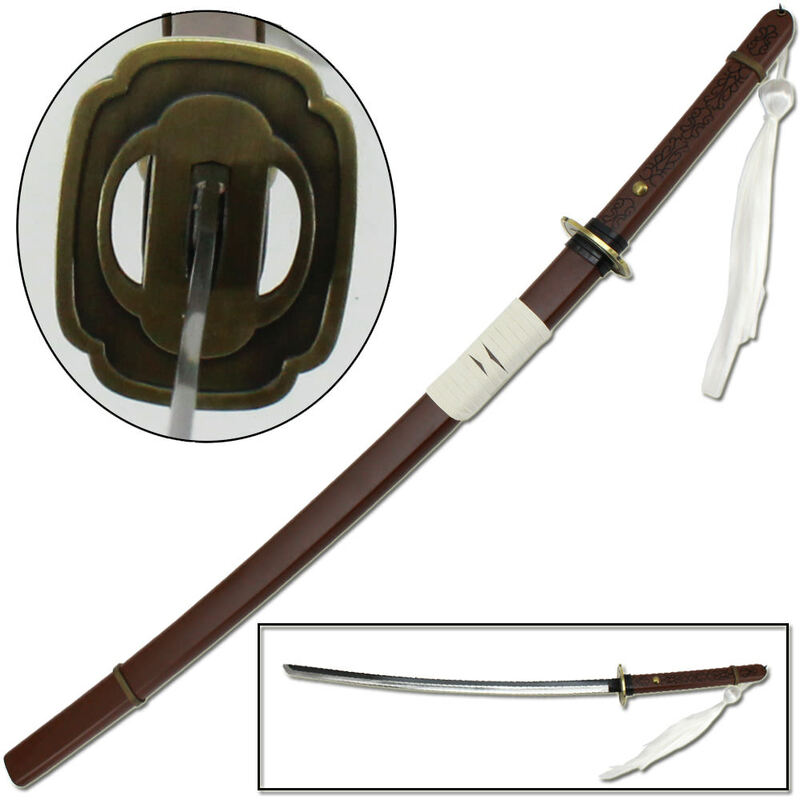 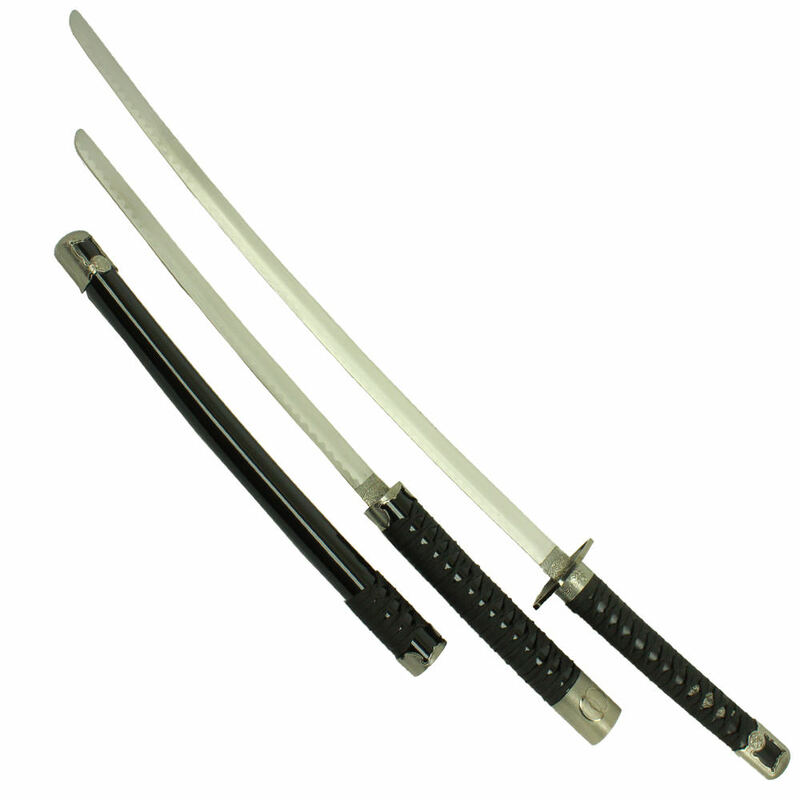 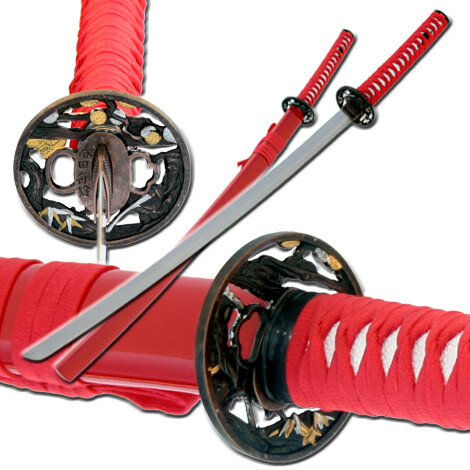 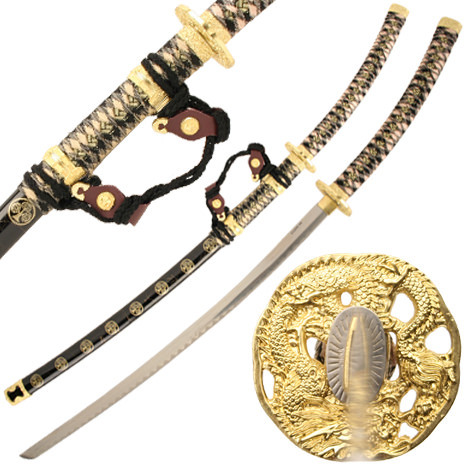 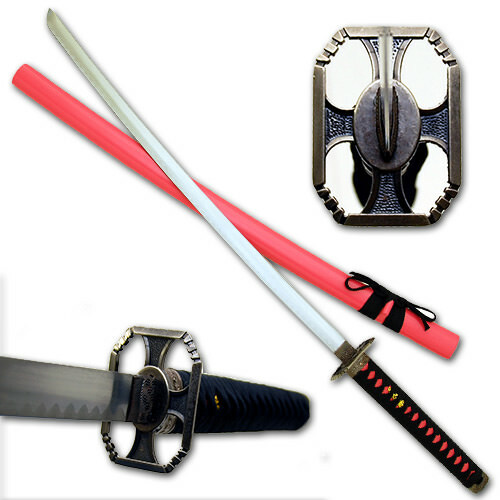 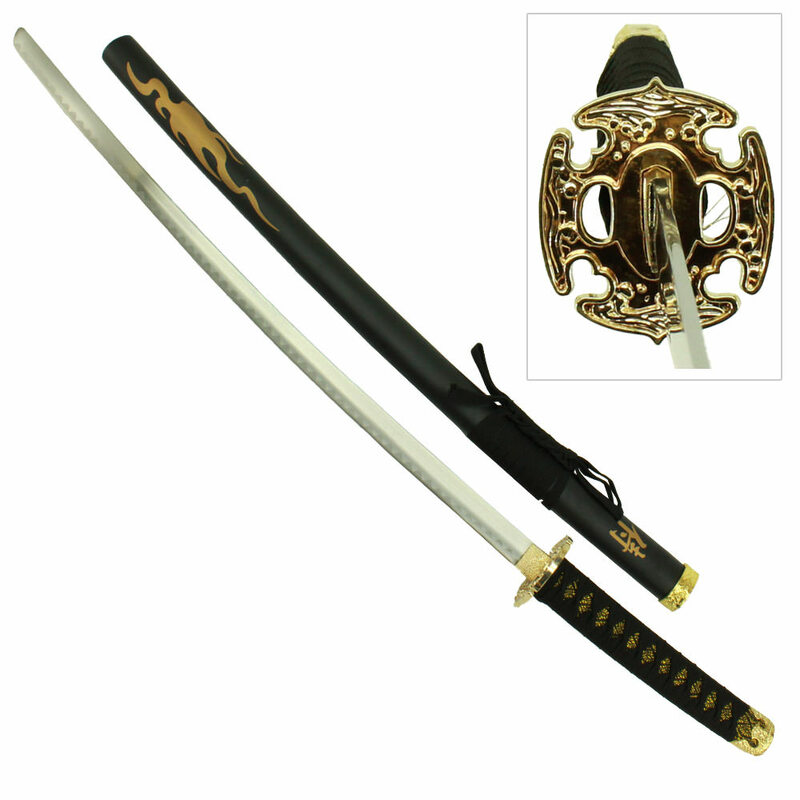 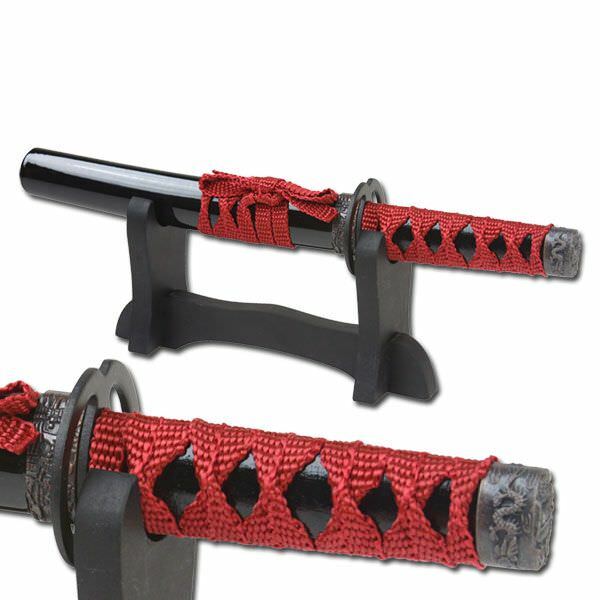 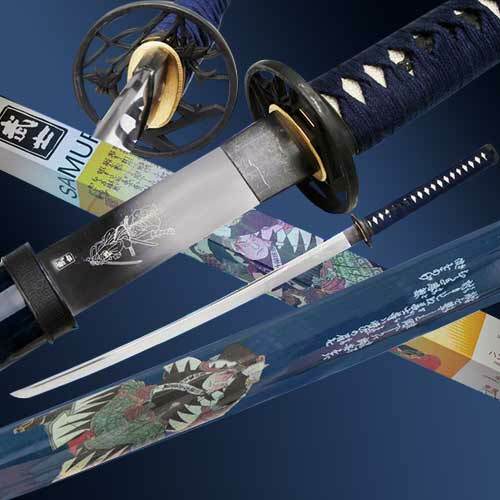 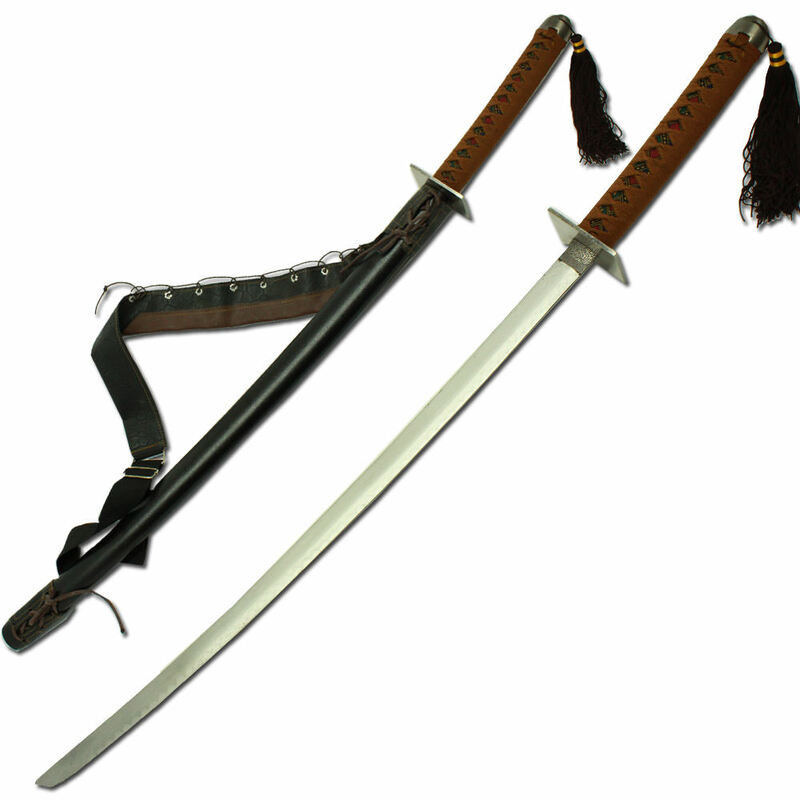 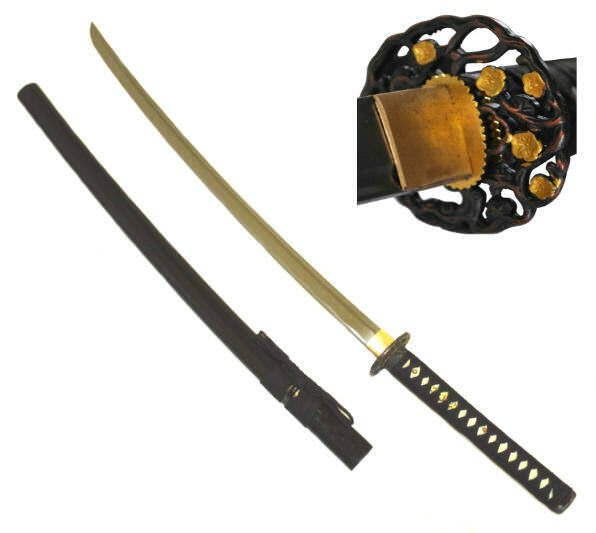 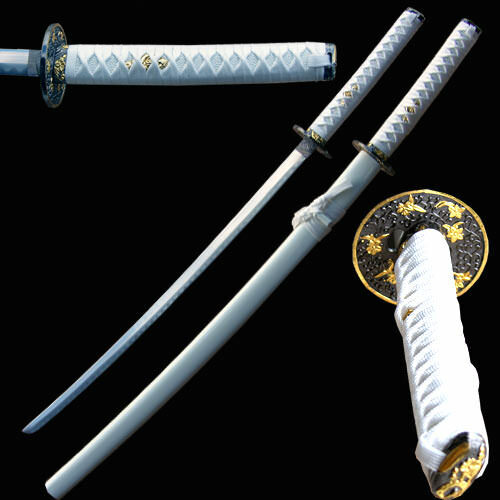 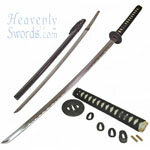 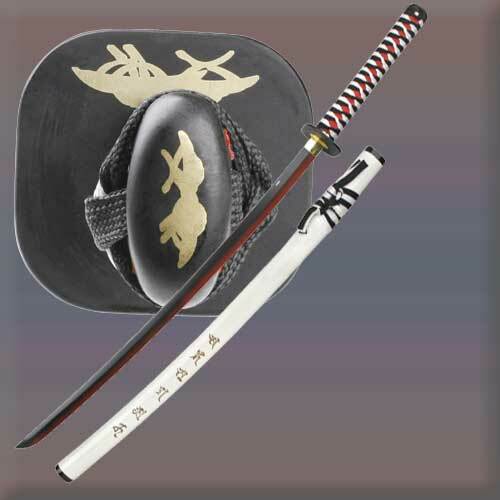 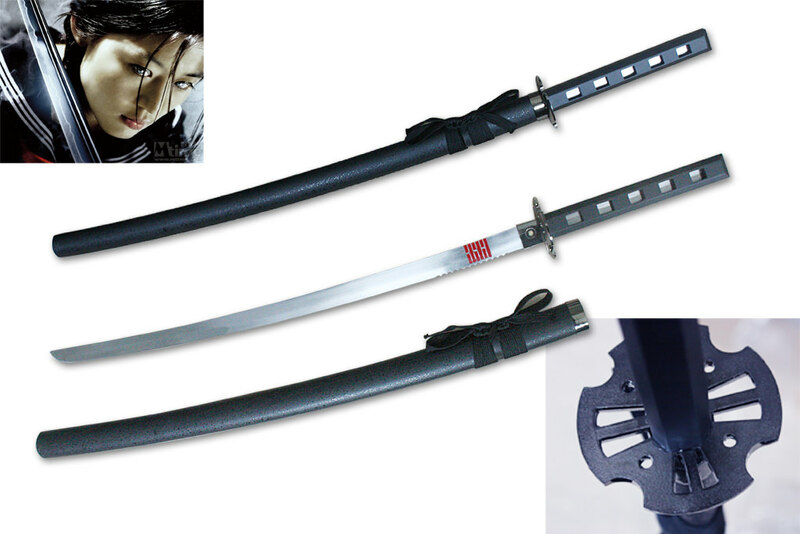 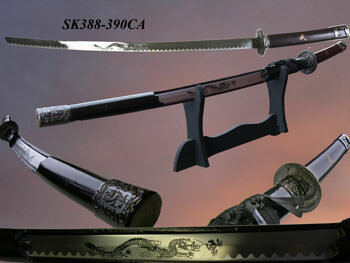 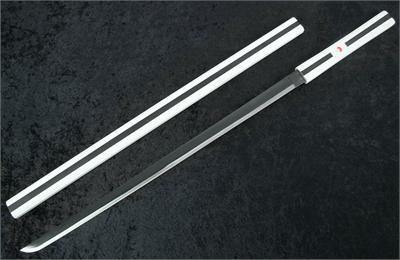 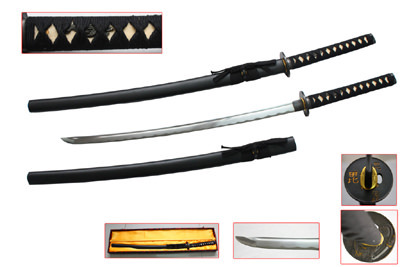 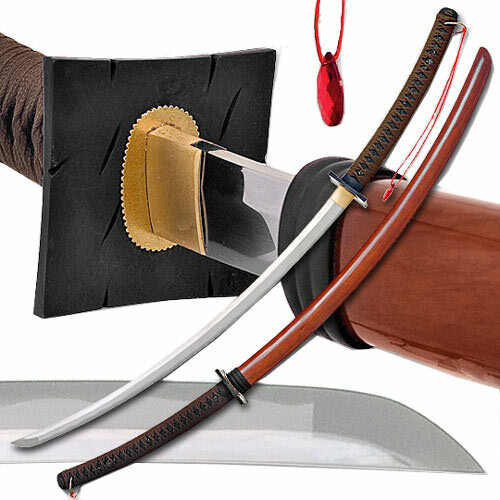 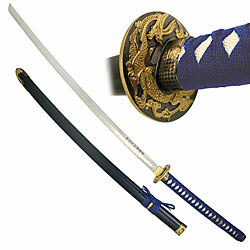 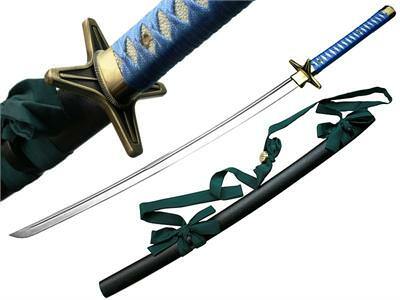 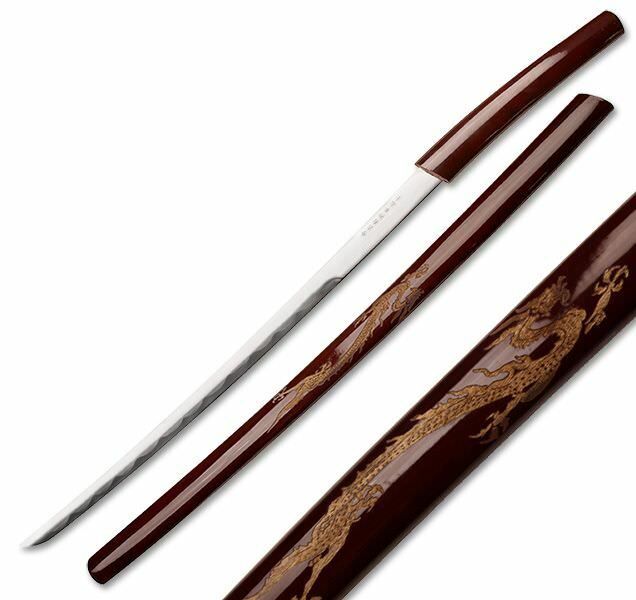 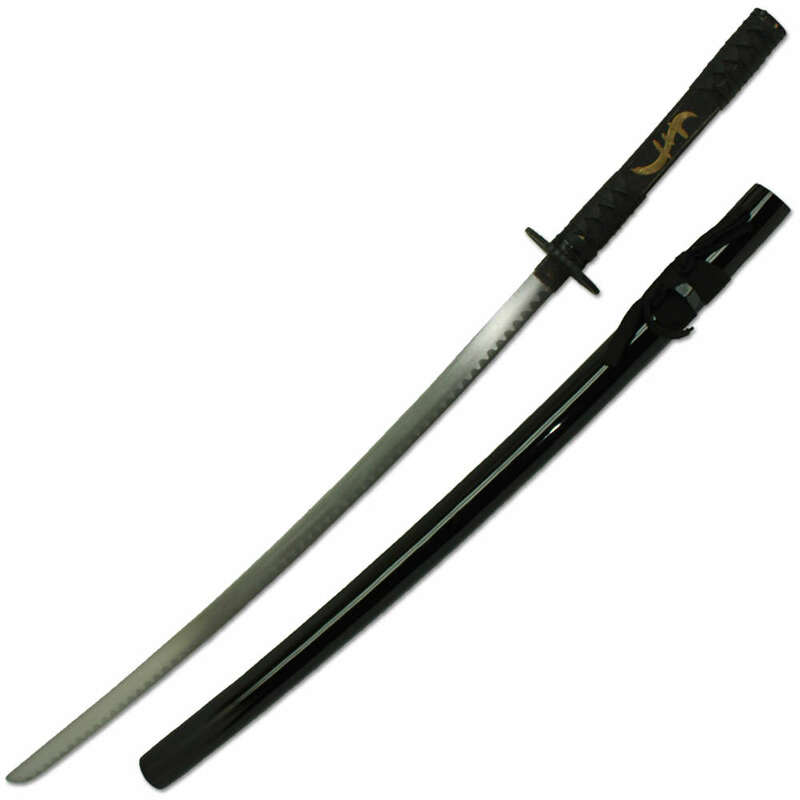 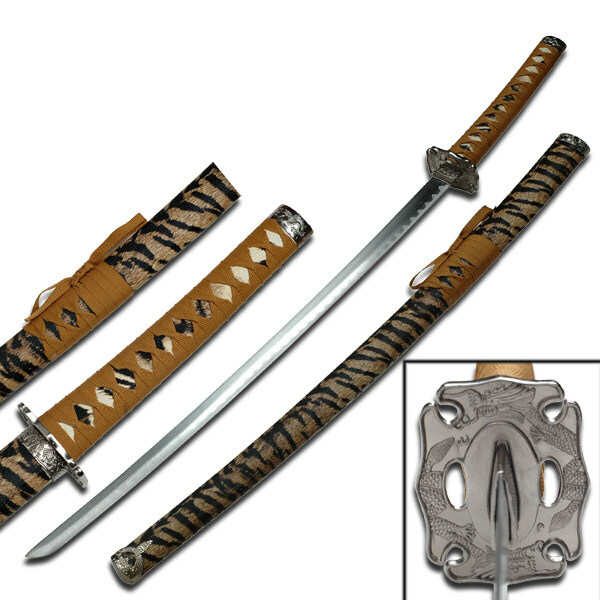 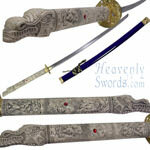 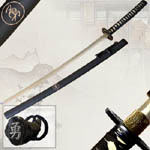 Katanas feature a curved, single-edged blade and was traditionally used by the samurai. 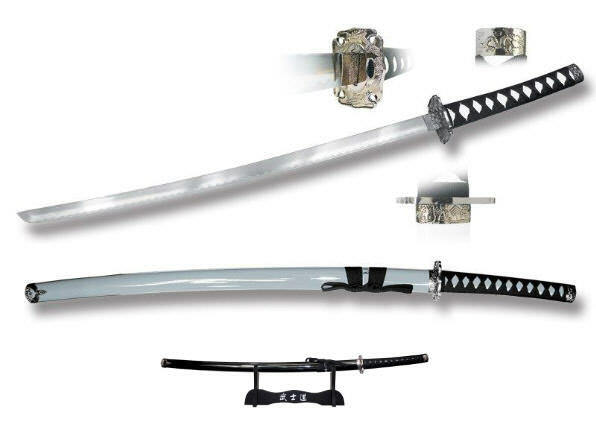 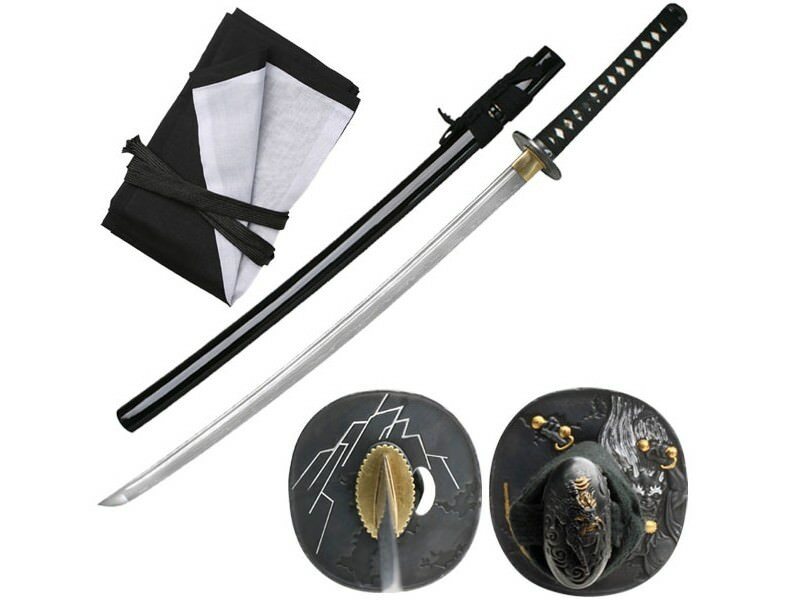 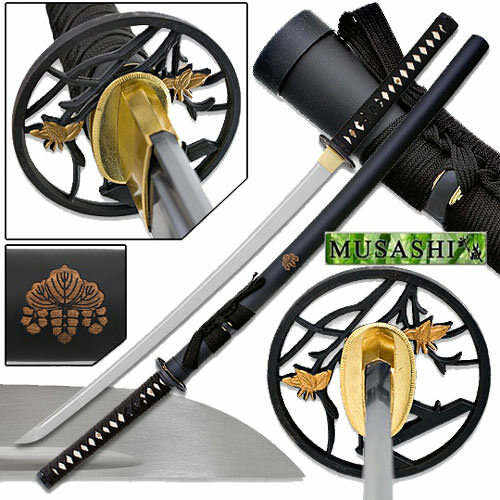 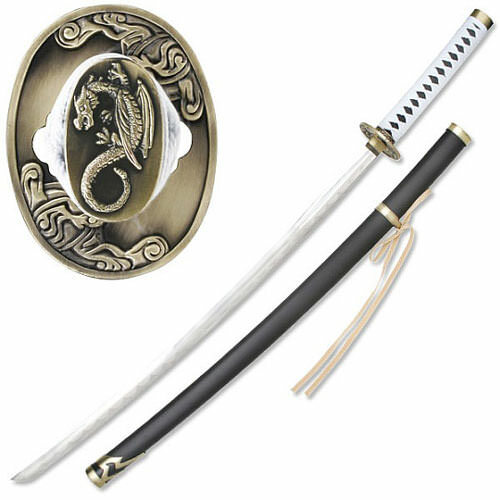 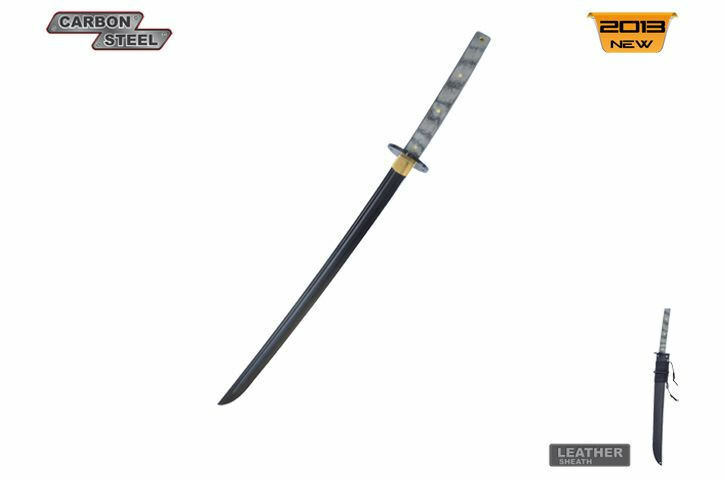 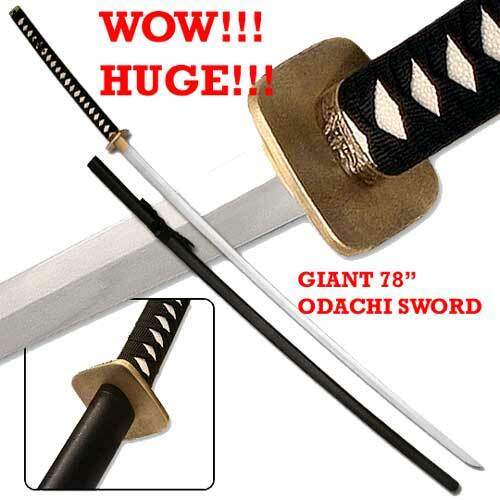 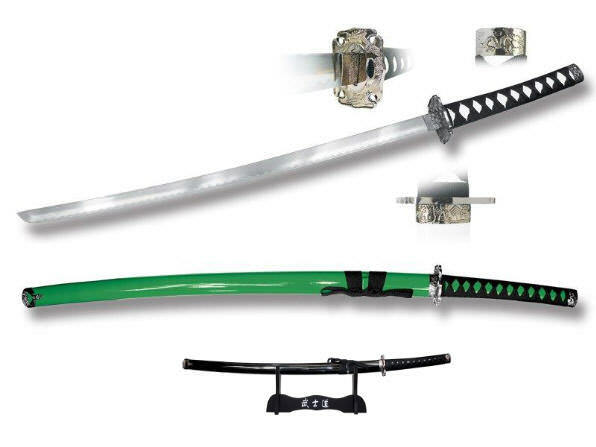 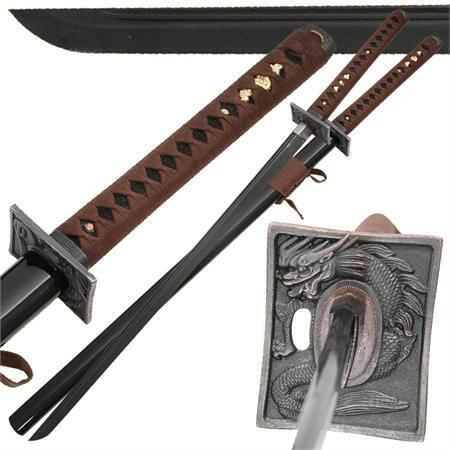 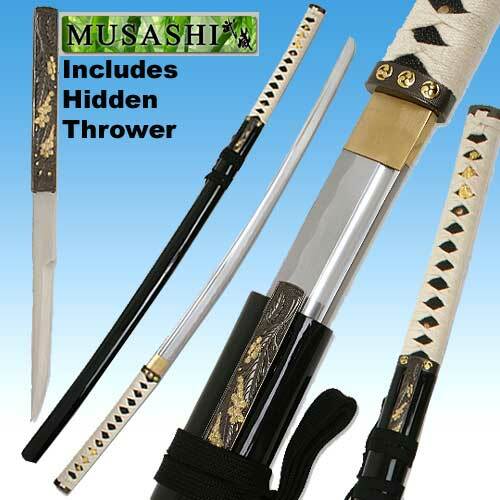 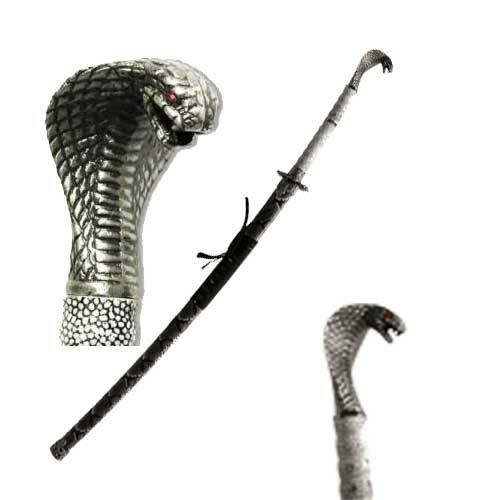 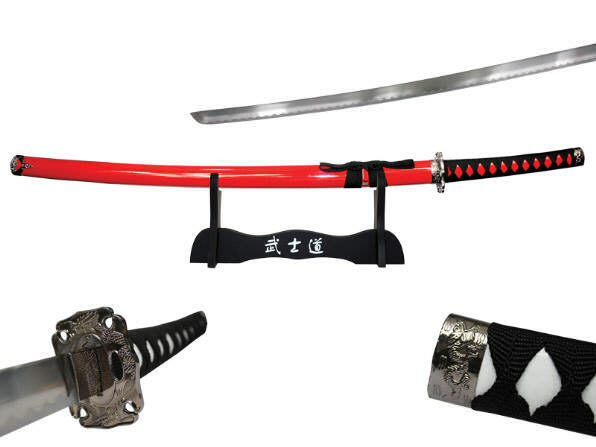 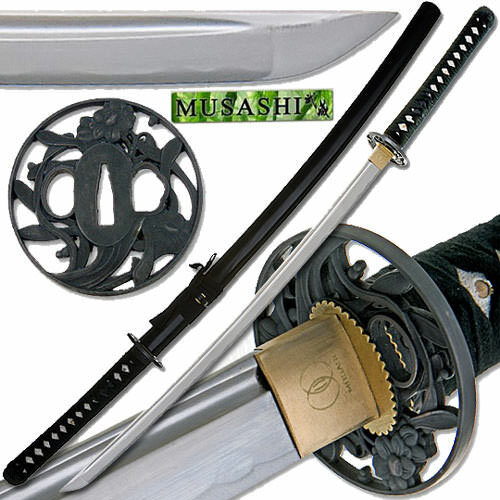 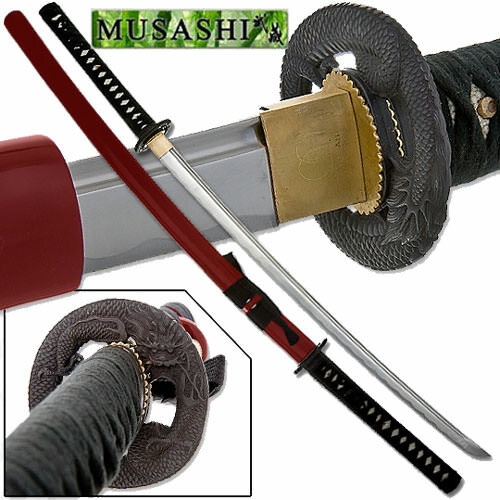 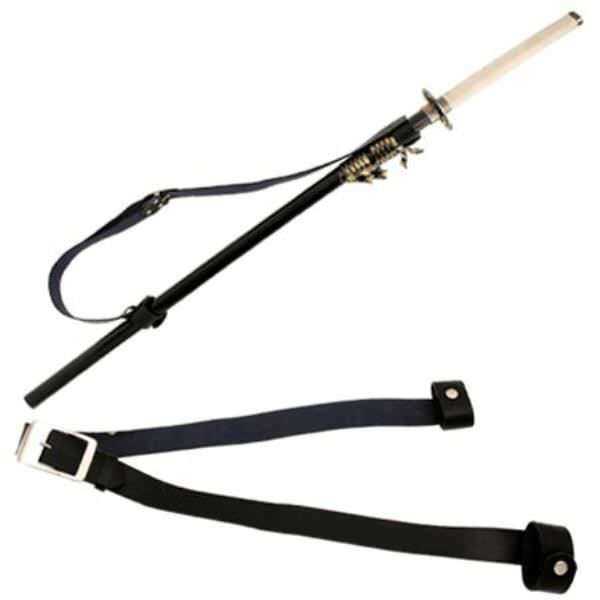 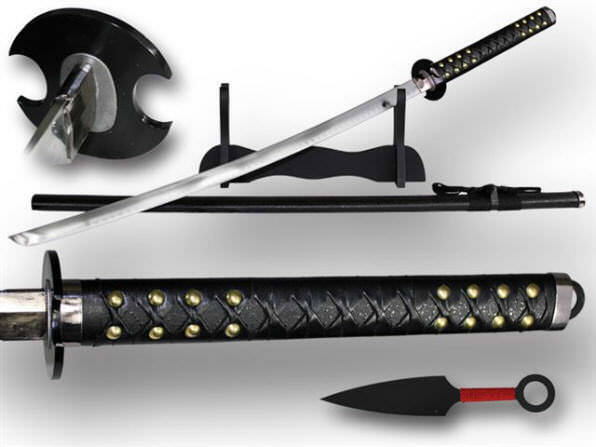 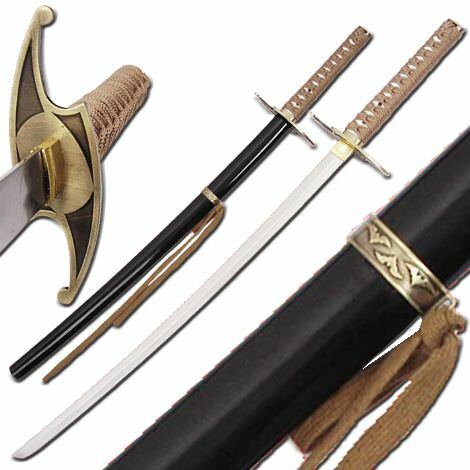 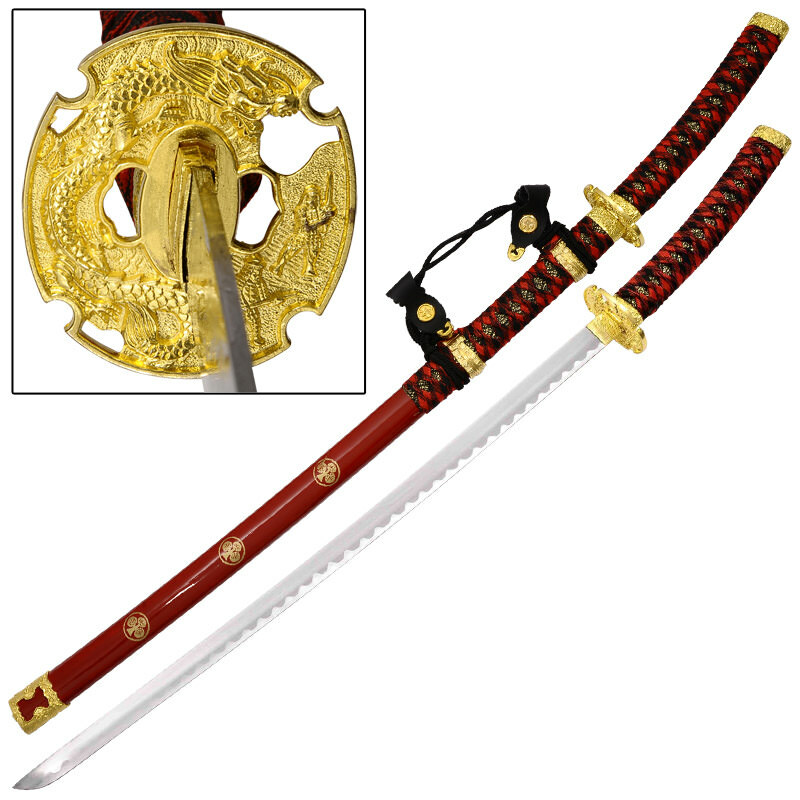 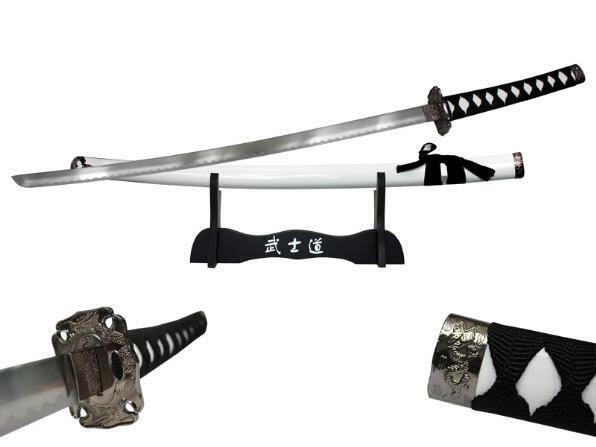 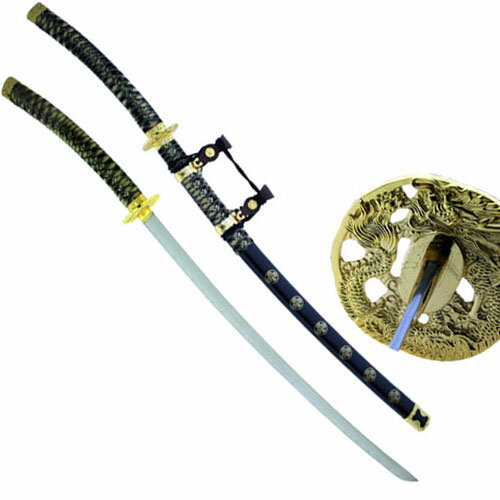 Bushido Musashi - Orient Pearl Handmade Samurai Sword 40"
Bushido Musashi - Zetsurin Sword w/ Knife Full Tang - Black Saya 40"
Japanese Black Knight Dragon Warrior 1045 Carbon Steel Katana 42"
Samurai Special - Life Cycle Two-tone Tsuba Katana 38 1/2"
Samurai Sword w/Mirror Finish 39"
Whit Monk Warrior Samurai Sword 36"
Dragon Guardian Samurai Sword w/ White Ito 41"
Black Warrior Engraved 4 Piece Sword Set 40"
Blue Long Handle Traditional Katana 45 1/2"
Dark Ninja Samurai Katana Sword 42"
Highlander "Sword of the Dragon" Katana 41"
Musha Sasuke Uchiha Naruto Anime Sword 38"
Bleach Hand Forged Hitsugaya Hyourinmaru Sword 40"
Musashi Hand Honed Katana Sword 40"